The 15-year-old from St Austell, Cornwall, secured the medal by finishing third in the 13th and final race of the boy’s windsurfing class. Hawkins kept his nerve in the final (non-discardable) race to hold off the challenge of Israel’s Tomer Vardimon. Hawkins finshed that race in second place behind Haoze Chen of China with Vardimon in third, to confirm his bronze medal. 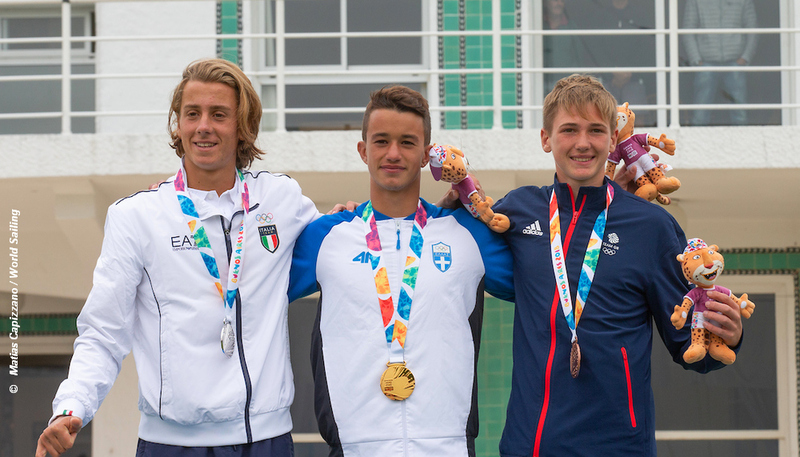 The gold was won by Kalpo Kalpogiannakis of Greece with the silver going to Nicolo Renna of Italy. Incredibly Hawkins has only windsurfed for four years after his parents bought him a board for his 11th birthday – but he has quickly established himself as a serious talent. In the girl’s windsurf event Islay Watson, the reigning youth world champion, narrowly missed the ten-athlete medal race in the girls’ competition finishing 11th overall. However Watson’s disappointment will be tempered by the announcement this week that she has been picked for the British Sailing Team. Italy’s Giorgia Speciale took the gold ahead of Manon Pianazz of France, with Yana Reznikova of Russia snatching the bronze by one point, ahead of Israel’s Naama Gazit. Hawkins and Watson were among 42 British athletes aged between 14 and 18 chosen to compete in 17 sports over 12 days of action. The 2018 Youth Olympics, which continues until October 18, will feature almost 4,000 of the world’s most talented young athletes from 206 nations and is the third edition of the Games following Singapore 2010 and Nanjing 2014.